Discover The World Of Multimedia & Web Design! Watch a Fun Flash Movie! 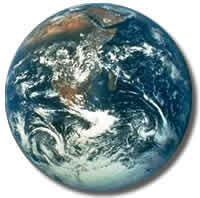 Click on the Earth! finished projects, they are represented here by screen shots only. The actual projects are available in their entirety on CD-ROM upon request. aged children about food and kitchen safety. teens and adults in methods for avoiding food-borne sickness. the Pittsburgh blues band, Jill West and Blues Attack. This project was the prototype for the Jill West and Blues Attack Web Site.